It is not uncommon nowadays that some people would paint the Islamic world with one broad brush. Many stereotypes – from poor treatment of women to extreme Sharia Law – still pervade especially in the Western world. In the world of pageantry however, every missosologist, would know by now that a Muslim woman participating at beauty pageants is not a strange thing at all. Indeed, no one will bat an eye if a delegate from Turkey or Indonesia – both Muslim dominated countries – will pose wearing swimsuits. But what about the delegates from Iraq, Palestine and Kyrgyzstan? This year, these three Muslim dominated countries made their debut at the Miss Earth pageant. 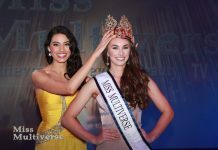 The issue about Muslim women participating at pageants is not unique to Miss Earth but the pageant had been embroiled in a controversy that propelled it to worldwide fame. Who could forget Miss Afghanistan Vida Samadzai who caused an uproar in her native country when she posed in red swimsuit during the Miss Earth 2003 pageant? This year, Miss Earth accommodated many Muslim countries to the contest and during the Press Presentation, the diversity in the Islamic world is very apparent. Miss Kyrgyzstan Begim Almasbeková proudly displayed her full form using a two-piece swimsuit. It reflects the fact that while her country is overwhelmingly Muslim, Islam’s influence in this former Soviet-republic was blunted by decades of state-sponsored atheism under communist rule. Miss Pakistan Anzhelika Tahir is also not afraid to don a two-piece swimsuit even though her country is officially an Islamic Republic. Anzhelika is part of the millions of Pakistanis who reside overseas who practice a more moderate form of Islam. She is in fact a dual-citizen holding a Canadian passport. 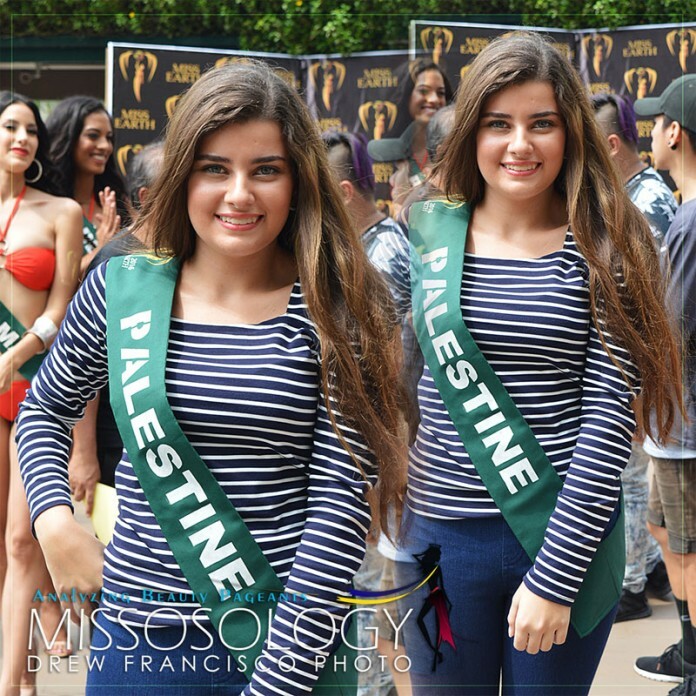 Miss Palestine Natali Rantisi, the first-ever Palestinian woman to compete in a major international pageant (Big5 Pageants), was allowed to wear the casual jeans and a t-shirt in lieu of a swimsuit. Miss Iraq Suzan Amer on the other hand, the first Iraqi woman to participate in major international pageants after decades of absence, opted for a sarong. By welcoming this kind of diversity, Miss Earth is signaling that beauty pageants are evolving. Evolution in pageantry after all is not a question of how but when. Beauty pageants are now more inclusive and the format allows more conservative countries to participate. The absence of swimsuit in Miss World and now the flexibility of Miss Earth, will definitely bring more countries to the fold. It would be interesting how countries – from Jordan to Bangladesh to Morocco – will respond to these developments. Beauty Pageants are indeed heading towards a more globalized competition where every corner of the world is truly represented.